With so many different platforms for social media, many feel overwhelmed at the thought of maintaining and building a following on each one of them. While a large percentage of people who do use social media use more than one platform, any successful marketing strategy will ultimately seek to connect with each person on as many different platforms as possible. In the past few years, fake social media accounts have become common and are used by brands seeking to augment their presence for a number of reasons – some are legitimate and some are not. In the following article, we will discuss the pros and cons of using fake social media fans, what can realistically be expected and the potential repercussions. 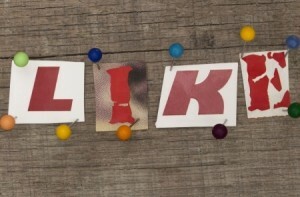 The market for purchased likes and follows continues to grow, and it does not do so because there are no advantages to this practice. On sites such as Twitter, fake followers have been commonplace for years and are essentially a part of the culture. Users are at least likely to have their accounts put into jeopardy as a result of having social media fans who are not real because the practice is so prevalent. In fact, many people use fake social media fans on Twitter because everyone is doing it – follower counts have become grossly inflated and in order to appear influential, many adopt this approach. On other networks, the benefits are a bit more tangible. Those who are pinging websites from their pages on Facebook, for instance, need to be recognized in order to be successful. The number of likes combined with activity has a direct correlation to exposure in select search results on the social media network. Whether you are a local business or a national movement, the number of likes and followers that you have plays a direct role in how many people within a given audience see your page. One of the biggest cons of using fake social media fans to augment your presence is that your social media accounts could be banned if this practice is detected. While it is unlikely that your social media account will be banned when using this practice in moderation, those who purchase a large number of likes or followers in a short period of time will most certainly be discovered on most social media networks. Anyone who does a quick search for how to purchase social media fans will quickly discover that search engines are pinging websites left and right that offer this service – many limit the number of followers you can obtain in a period of time to minimize the risk of detection. It also has to be considered that despite the inflation of your social media numbers, you are not gaining any direct value in terms of viral reach or sharing. Since these fake accounts do nothing other than make the initial engagement with your brand or page, they can be counted on for nothing in regards to sharing your content. Some of these ‘fake’ users are indeed real people, but they most likely do not share your page’s interests and will not be motivated to engage further. Also, many of these people will ultimately unlike or stop following you at some point or another, so keep this in mind when spending money or time on fake social media fans.